First of all I would like to thank Robin for having me over for Stash busting September- it is such a great idea to take a break from planning NEW projects and finish some OLD projects. Or just a good time to reduce the massive piles of stash that seem to build up in my craft room! Every year I love to make handmade ornaments for my family and friends. 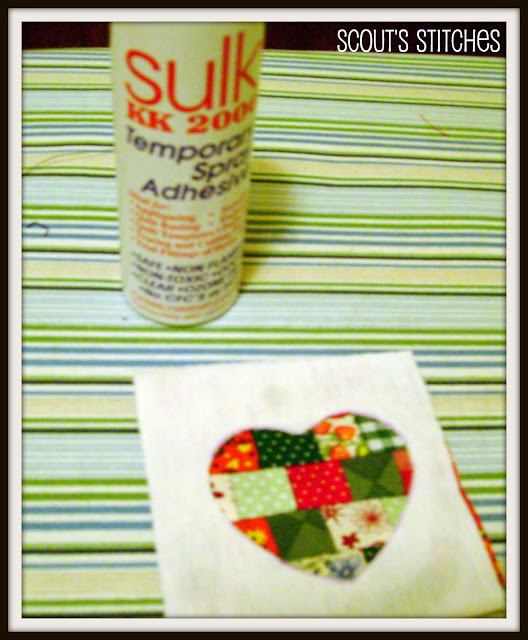 Usually I plan what I am going to make, go out and buy supplies, then get to crafting. Not this year- I am going to use only what I have on hand! And I have LOTS of fabrics on hand. So here you are- some easy Patchwork Christmas Ornaments. 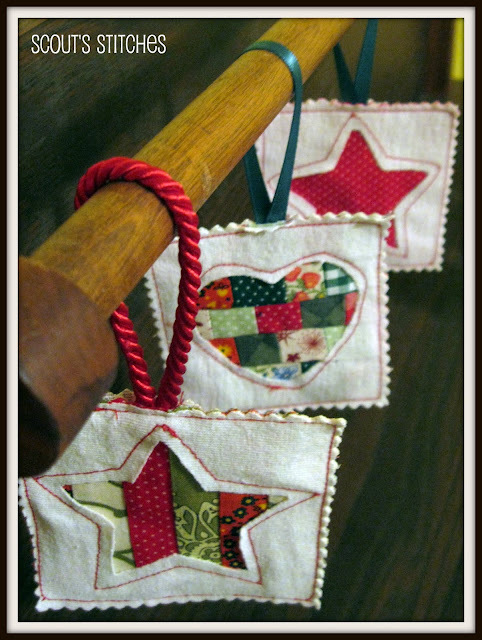 First off, don't limit yourself to Christmas ornaments on this project. You could make them into any seasonal ornaments you want or even into coasters. Make them a little bigger and they can be place mats! I thought doing them in fall colors and a pumpkin cutout I could make some really pretty coasters! 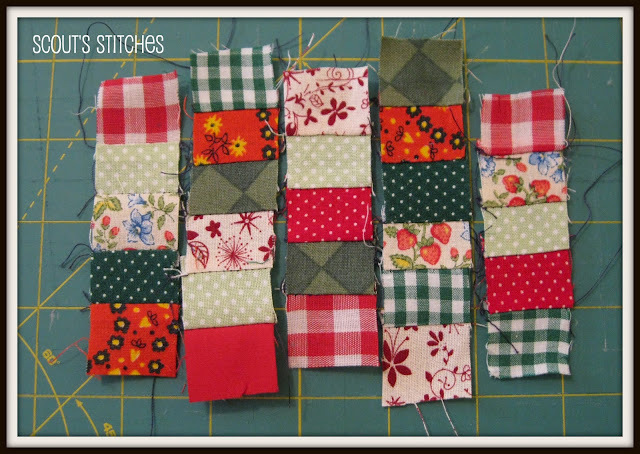 First off I found all my red and green fabric from my stash and started cutting. 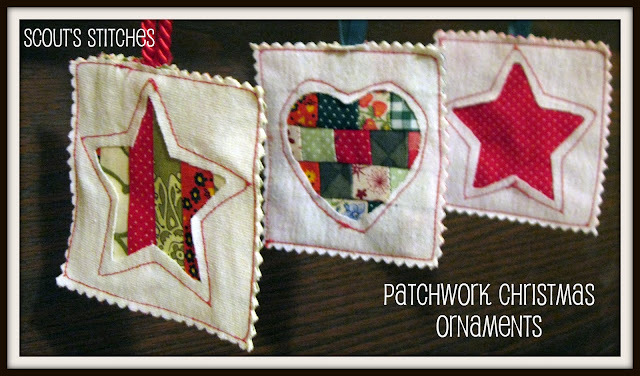 I cut my patchwork pieces into 3/4" squares in order to make a finished ornament of 3" X 3". 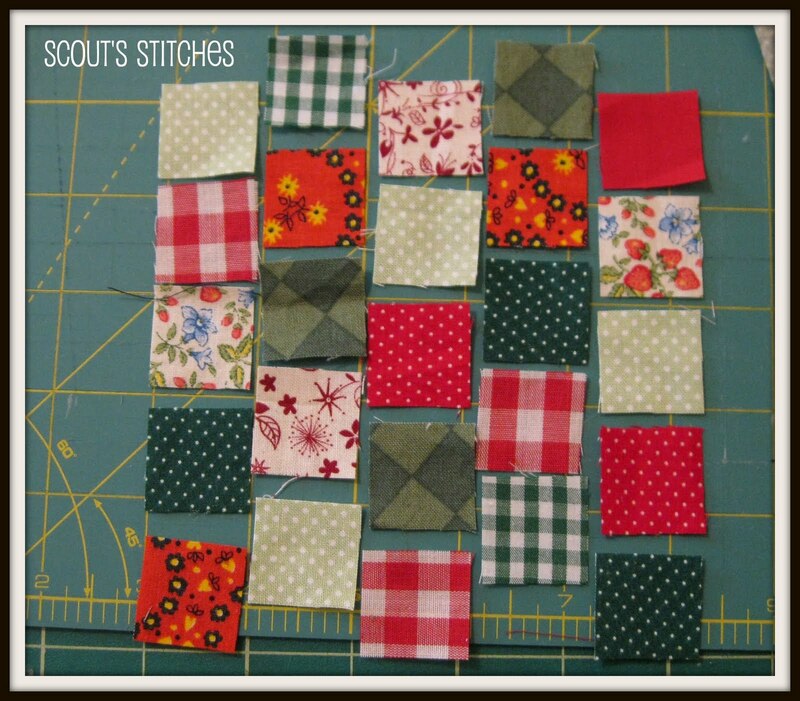 Then lay them out in a pattern you like. I chose to off-set my columns so I didn't have to worry about lining up all those tiny corners. If you have never done patchwork, don't be afraid- it really is just sewing in straight lines. And if it isn't totally even, that's OK- it looks more homemade that way! 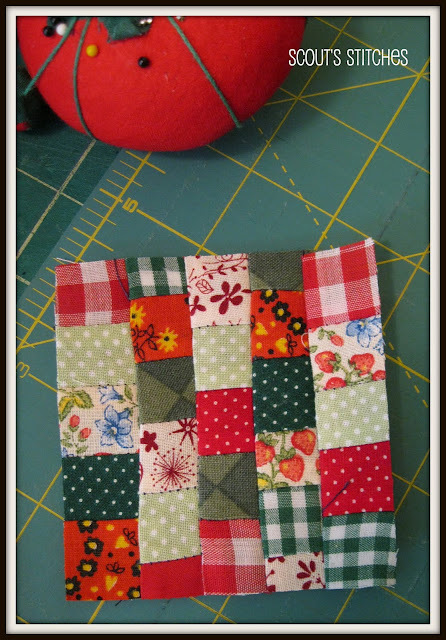 First step- take two squares- hold them right side together- sew with a 1/4" seam allowance. 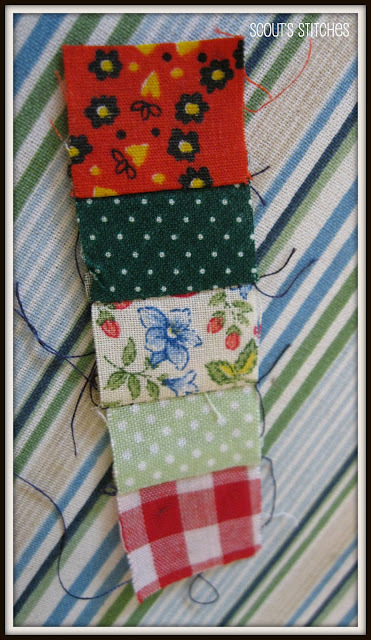 Then take the next piece, hold it right side together with the piece you want it to border and sew. Once you get your first column done, press all seams to the side. I like to use spray starch to help get it flat. Sew all of your columns. Place them right side together next to each other, line up the seams with the center of the adjacent columns squares. 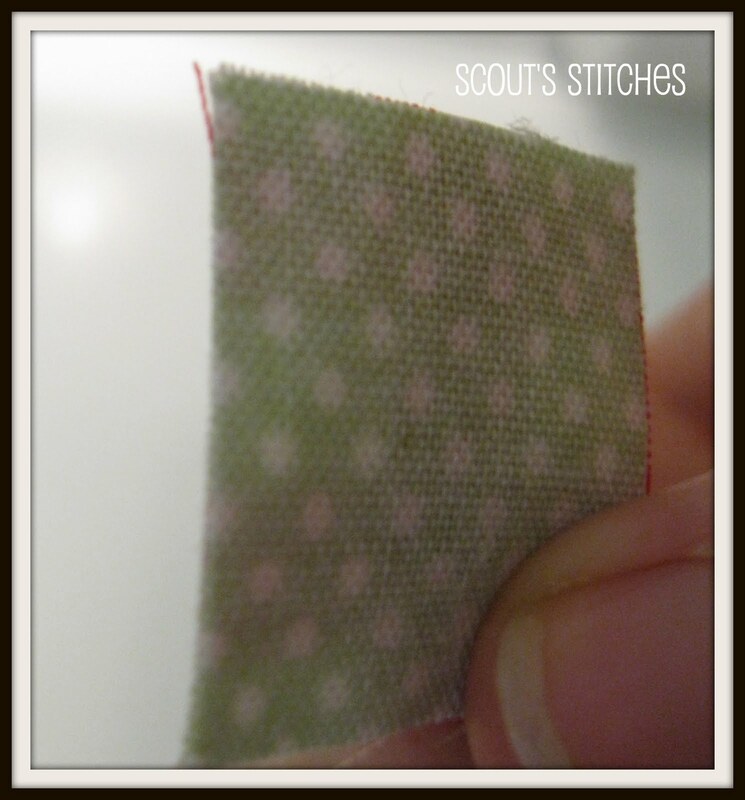 Sew with 1/4" seam allowance. Once all of your columns are pieced, spray with starch and press seams flat. 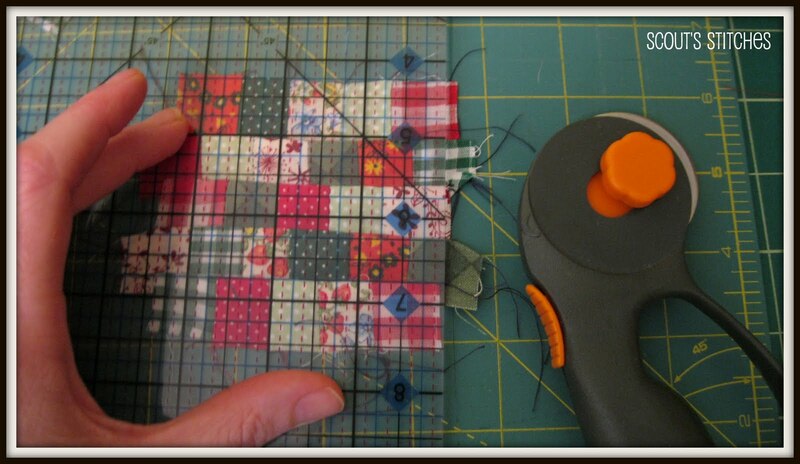 Trim around edges to make a square. For the overlay I used t-shirt fabric so that it wouldn't fray. I cut out the square and centered a stencil of the shape that I wanted over it. I used hearts and stars. Trace the shape and cut out the inside portion so that you have a square with a heart cutout in the middle of it. Use spray adhesive to hold the overlay in place on your patchwork piece. 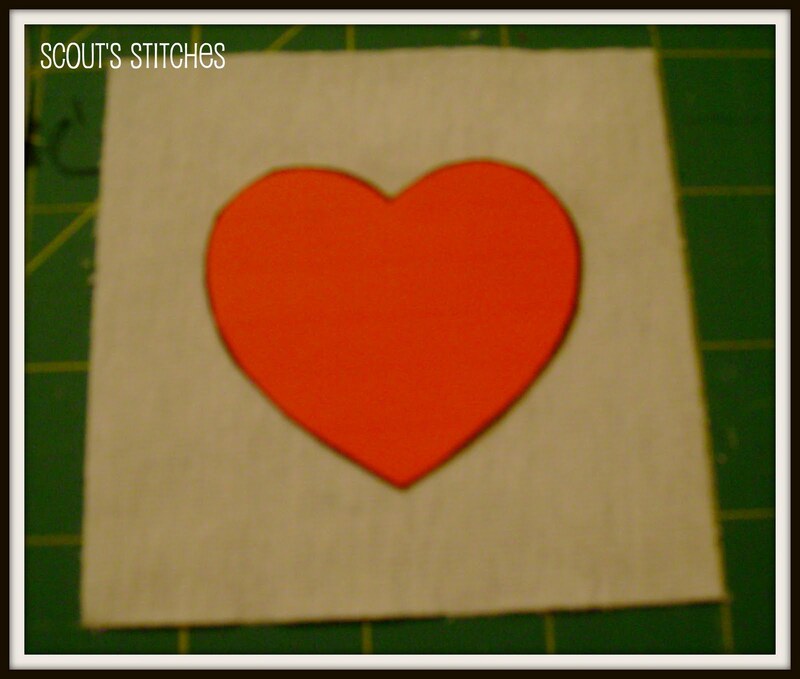 Stitch in contrasting color around edge of cutout. Cut matching size square for backing on the ornament. 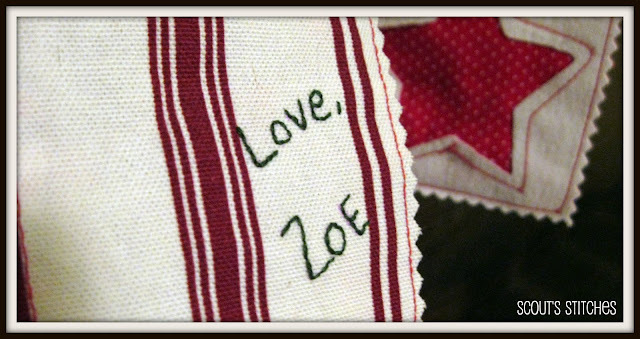 I like to add a little bit of personalization so I embroidered "Love, Zoe" on the backs. 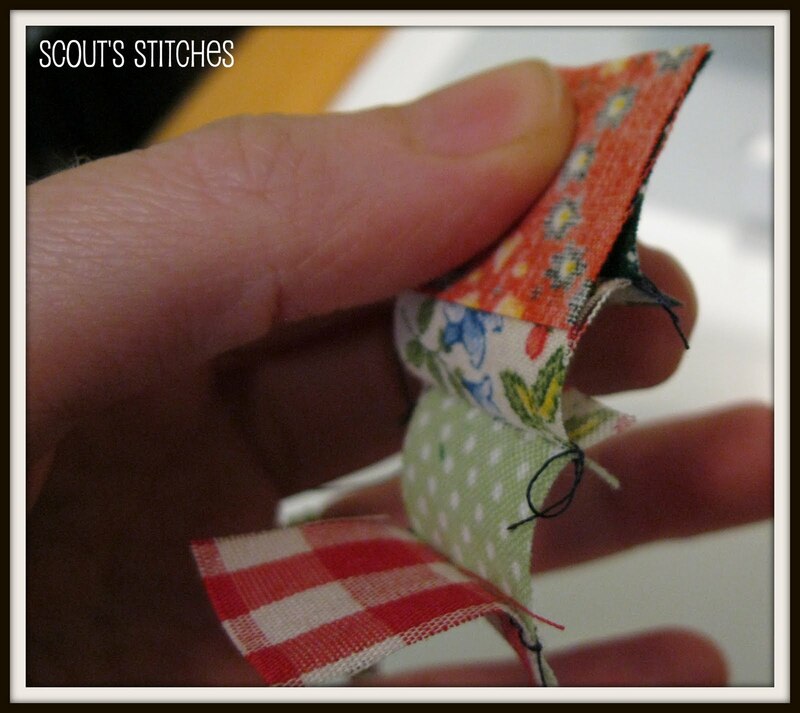 Cut ribbon or cording for your hanger- pin in between the backing and your front piece. Sew around edge of the whole ornament. Use pinking shears to trim the edges. Give as gifts or keep some for yourself. 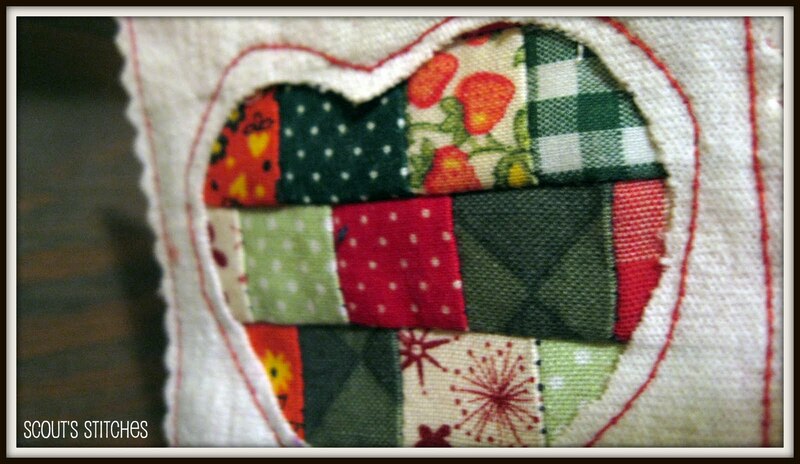 If you don't want to do the patchwork part, doing a solid or pattern as the background works well too. 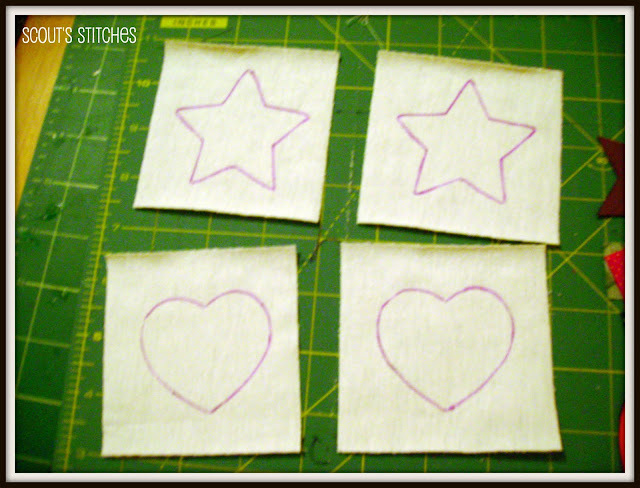 Or you can pieces strips or diagonals, however you want to do it! Have fun with it! 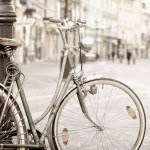 Once again, thanks for having me Robin and if any of you are interested in my projects you can check out my blog here.